Catering for the vibrant modern lifestyles, the SPORT B. Collection was launched with a totally new design in 2007. 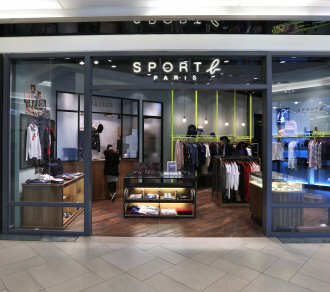 SPORT B. not only inherits the simplicity brand identity, its comfy touch and functionality are nicely preserved. Fitting into the upbeat city life, SPORT B. Collection introduces a large variety of apparels ranging from tee shirts, vests, polo shirts, shirts, jackets, windbreakers, jeans, shorts, mini skirts to sneakers and accessories, comprising casual, comfort, trendy and fashionable all at one. Every details from the material used, cutting silhouette, design and packaging, SPORT B. Collection is scrupulously and meticulously planned to provide good qualified apparels in friendly price.